Israel’s ambassador to the United Nations slammed Palestinian Authority chairman Mahmoud Abbas Tuesday, following the PA leader’s address at the UN Security Council. Abbas had accused Israel of ‘closing the door’ on the two-state solution, and refusing peace talks with the PA – despite Israel’s support for a return to direct negotiations brokered by the United States. In response, Ambassador Danny Danon said Abbas was “longer part of the solution” to the Middle East conflict – but instead was part of the problem. The PA leader had used his address at the Security Council to call for a Mideast peace conference later this year as an alternative to the traditional direct, bilateral talks which had served as the basis for establishment of the PA under the 1993 Oslo Accords. "To solve the Palestine question, it is essential to establish a multilateral international mechanism emanating from an international conference," Abbas said at the UN Security Council. In response, Danon called Abbas’ plan a figleaf for the PA’s support for jailed terrorists and its promotion of anti-Israel incitement. 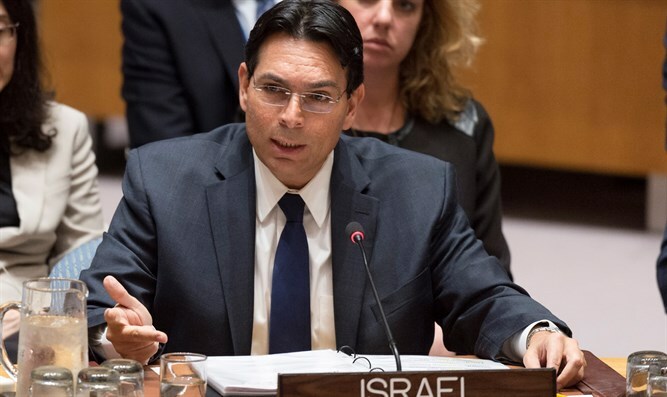 Danon praised the Trump administration, for its efforts to restart negotiations and decried the PA’s refusal to accept the US as a broker.